Nowadays, it’s not enough just to develop an app that would assist in satisfying users’ needs; this app should be really user friendly, i.e. its task is to be simple in usage and have many beneficial features. 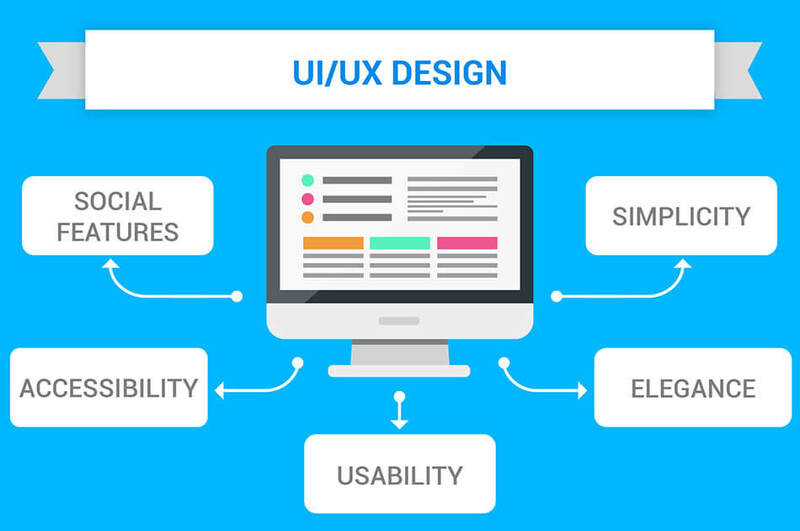 EffectiveSoft is willing to offer its present and future customers free UI/UX design. To get it you just have to approve the project brief so that we start developing the app without signing a contract. Thanks to a stylish web design, elaborated by our company, your web portal/app will be ideal for its users, featuring fashion and accessories, photographers, artists. Furthermore, your website can become a kind of a social network for designers, where they will feel free to show their works, chat, and share invaluable experience. Here we present you a UI/UX concept for money sharing service that will help you outstand among competitors thanks to simplified history navigation. Users will get a clear look at the purchases history list by categories, having a chance to add and delete them and to use an advanced search tool. Furthermore, EffectiveSoft offers you a design concept for speed dating apps and guarantees a friendly online atmosphere for communication with new people, an appropriate app color and smooth forms. Effective fitness and biometric measurement may become a challenge for health care solutions. Our company will create typical patterns for different activities (bicycle trips, jogging, tennis, etc.). Thus, doing individual or group sports, visitors will be able to calculate fitness data, get activity points, as well as reports featuring progress and achievements, efforts and outcome, and general info about their health. We are also looking forward to offering you the development of a sport/health community with personal accounts, effective tools for sharing activities, a scoring system and many other things. EffectiveSoft has vast expertise in elaborating user friendly interfaces for crowdfunding platforms that will display the necessary info about the candidates who desire to get funds; we will also simplify the scenes for a better control, at the same time allowing users to easily choose the amount and payment method. The next concept we would like to introduce is the idea of how to show drivers’ top scores in the app, reflecting score details (positive and negative), values, and results. This app and its UI will help to see a clear picture (violations, critical events, CSA, accidents) and reduce fuel consumption. We are ready to offer iOS ware frames for your business App to promote campaigns. Our UI will permit importing the contact numbers from your iPhone phone book, sending mass promo texts, deleting, editing or copying campaigns, etc. without any difficulties. Another concept for sport lovers is UI/UX for cycling apps where users can track their training progress, get personal training data and video streaming, and compare her/his results with those of other cyclists. Thus, you can see the full readiness of our company to bring your idea to life, delivering ingenious IT solutions. And this TOP-8 is not the complete list of the UI/UX designs EffectiveSoft is willing to offer.